Wait!? Is that a BUCK or DOE?! Greetings, Ladies and Gentlemen. So glad you could join us today! I would like to introduce you to a brand new game here at Boyd’s in the Woods. I like to call it Is that a BUCK or DOE? The game is simple…. 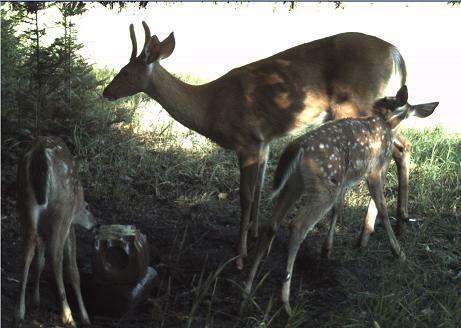 You look at a couple of pictures, determine if the deer in question is a buck or if it’s simply a doe. Got it? 3 Responses to Wait!? Is that a BUCK or DOE?! That was my guess too! I’ve been calling her(him??) The Mama Buck. 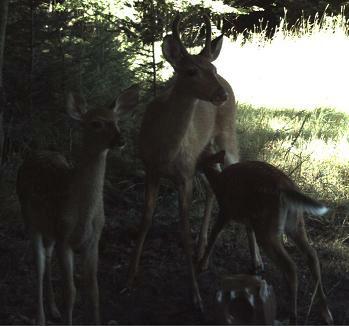 Nick’s theory is that its just a regular spike, who is watches over the fawns. It’s a doe!!! Great pic.